Union Minister Maneka Gandhi has once again stirred controversy when she announced a ‘categorical’ approach to be followed after elections for rewarding the voters. As per the category system, the villages will be prioritised for developmental work (Vikas) based on the category they belong to. Maneka further said that they had implemented this grading system in her former constituency Pilibhit as well. She even shared a phone number with the crowd and said that they could talk to her directly. Her latest appeal for making voters accountable comes just a day after a video went viral on social media which showed Maneka telling a group of Muslims to vote for her in the upcoming Lok Sabha elections, or else they would not receive any help when she is a Member of Parliament. 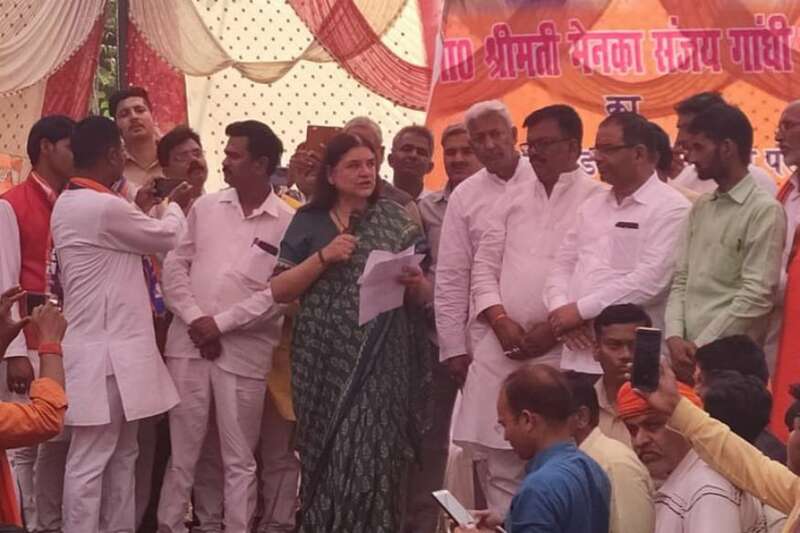 Maneka was addressing a gathering in Uttar Pradesh’s Sultanpur, where she is contesting on a BJP ticket. According to sources, Sultanpur’s District Magistrate issued the notice after the Election Commission took cognisance of the matter and asked Gandhi to explain her remarks. However, Gandhi later maintained that her remarks were quoted out of context. She even lashed out at her party’s IT Cell for not defending her on this controversy, and said there was no use of such a team who was only posting pictures on social media. Gandhi is contesting from Sultanpur, a seat won by her son Varun Gandhi in 2014. Varun Gandhi has swapped the seat with Maneka and will be contesting from Pilibhit, from where his mother had won in 2014.